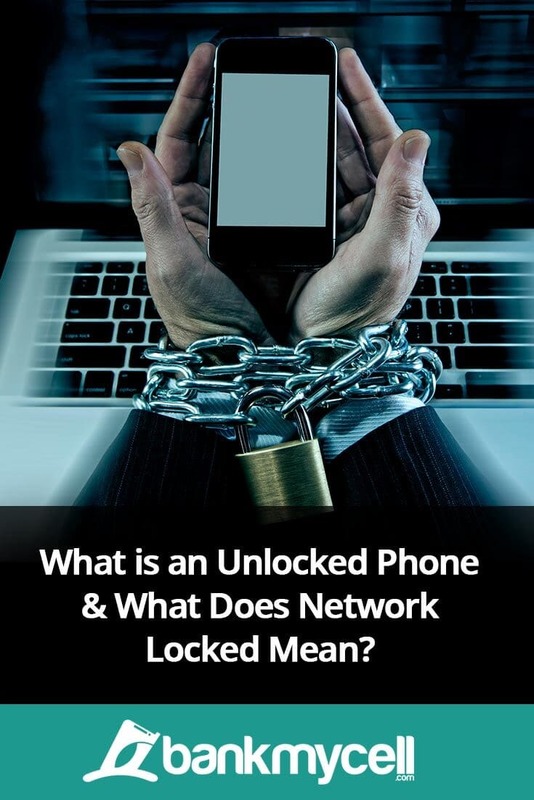 What is an Unlocked Phone & What Does Network Locked Mean? If you are looking to switch cell phone carriers in order to get a better deal or avoid having a long-term contract, there may be a stumbling block that you haven't considered. What Is A Locked Smartphone? The process by which a phone is locked to one carrier is called a SIM lock or network lock. It is a built-in technical restriction or limitation that is imposed on the phone at activation. The intention of this limitation is so that mobile phone providers can ensure that the phone may only be used in their network or in certain countries. The phones are locked to only accept a limited number of what are called IMSIs (International Mobile Subscriber Identities) and may restrict the phone to only use one SIM in its service life. So why do providers use SIM lock on their smartphones? To understand this we have to take a look at the economics of the cell phone sales business. High-end smartphones are often prohibitively expensive to purchase for many consumers, so in order to enable their adoption and make more money off their monthly contract fees, carriers have come to a mutually beneficial agreement with manufacturers. The providers subsidize the purchase or even provide the phone free of charge with a mandatory monthly contract usually with a duration of about two years. This can shave hundreds of dollars off the price of the purchase, which makes the contract more attractive for new customers. With the binding contract being signed in return for the subsidized price, providers are able to protect their investment by recouping the cost of the subsidy gradually over the life of the contract. This is usually enforced with an early termination fee (ETF) that serves to ensure that they will get the money back if the customer doesn’t honour the contract. In order to purchase an unlocked phone that may be used in any carrier network, the phone must normally be purchased at the full retail price. The vast majority of commercial smartphones are GSM devices that are equipped with SIM card slots. Some locked devices are able to become unlocked by discarding the current SIM card in the slot and replacing it with a new card provided by your new carrier. However, some phones have additional firmware that may make them incompatible with some carriers or features that will only work with the intended carrier. For these more truculent phones, there may be certain technical workarounds that can resolve these potential problems. It is usually not much of a problem to switch from one carrier to another if they both use GSM technology, but this decision may still trigger an early termination fee. There are many benefits to having a phone unlocked, including the flexibility of changing carriers to take advantage of better deals as well as being able to trade or sell the device for a much better price. Do you need to learn how to unlock your phone or are you interested in trading in your device? Contact Us for more information! Let me know any questions by leaving a quick comment below right now!